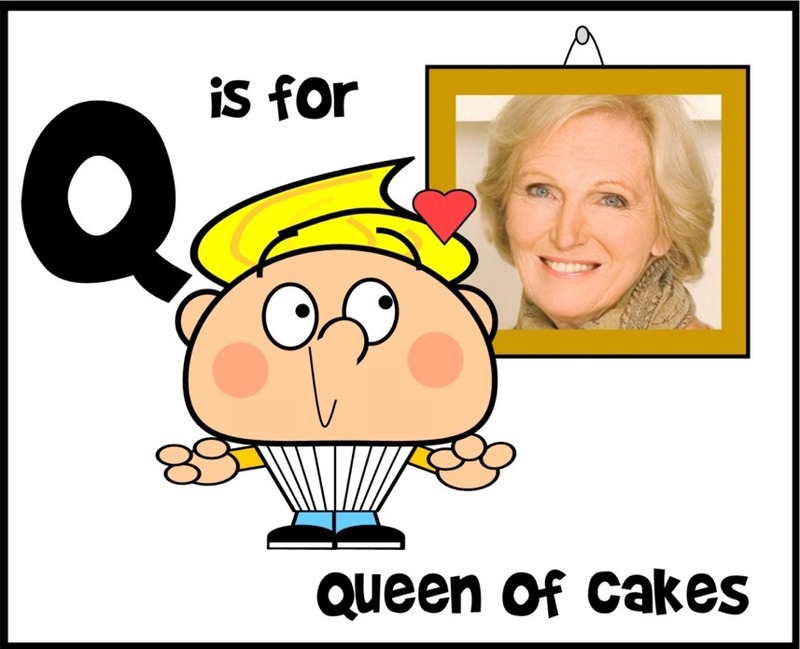 The alphabet has reached Q and I really did puzzle over this one, but then I remembered Cakeyboi's sweetheart - the Great British Bake Off judge - and so much more! - Mary Berry, the Queen of Cakes. I remember Mary on TV when I was a wee lad, she was always making delicious looking meals on some show I can't quite remember the name of. And I was thrilled last year when I got to see her in person at the Good Food Show in Glasgow. She seems such a lovely person, it's no wonder Cakeyboi has a crush.